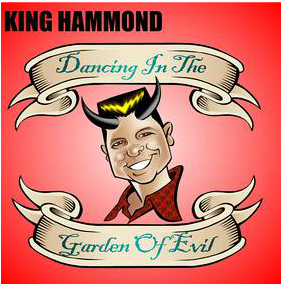 The Duff Guide to Ska: Pre-Order the New King Hammond Album "Dancing in the Garden of Evil!" Pre-Order the New King Hammond Album "Dancing in the Garden of Evil!" This April, King Hammond is set to release his fourth album since his 2010 resurrection titled, Dancing in the Garden of Evil. King Hammond (AKA Nick Welsh) tantalizingly describes this collection of tunes as his "White Album" (if you were born too late to immediately catch this reference, go here, posthaste). Dancing in the Garden of Evil is available for pre-order right now through King Hammond's website (plus he'll throw in your choice of one of his three previous albums for free: The King and I, Jacuzzi, Showbiz--or his official bootleg, Rewind/Remix). 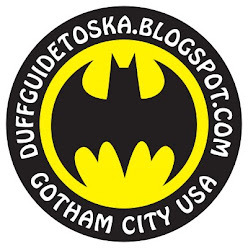 Below, you'll find the music video for "Dancing in the Garden of Evil," which features footage from King Hammond's recent visit to Gotham--sadly a bit cleaned up since its "Taxi Driver," "The Warriors," or "Style Wars" days, but still a den of iniquity if you're looking in all the right/wrong places. (King Hammond's music video also features his NYC performance at The Shrine in Harlem and a ride on the L train in Brooklyn--with me, his minder--after his gig at The Lake in Bushwick). We hope to have King Hammond back in the US for a more proper tour of the Northeast (Boston, New York, Philly, DC) sometime in the fall/early winter of this year. Of course, his New York date will be at The Four Aces Club at The Wick. Marquis De Ska! Hahahaha! Nice cameo on the subway! Nick can turn a phrase, can't he?